Hi I played bass for a while with the Pagans. John Nockolds,John Self,Robin.....? (drummer).Mike Prior. I remember one changing point in my musical 'career' was supporting Jimmy James + Vagabonds at Sunshine Dereham. Read about them in the Melody Maker of course. They were a sort of 'united nations' of members at that time. Realy blew me away ! Better than Geno Washington as Jimmy had/has a realy good 'souly' voice . 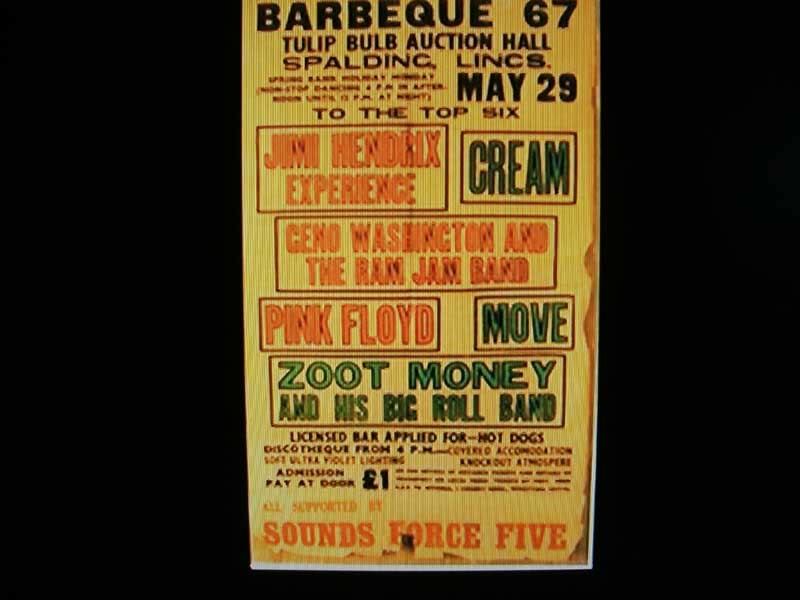 At that time there were several members in the Vagabonds .Even a bongo drummer ,and another vocalist who did brilliant harmonies with JJ.Must have been a lean payout on the wages front !. After that I just wanted to be in a band with wind and Hammond ! . Jimmy still gigging I think . On the Gliderdrome subject we should have supported someone there........could have been Dusty but she cancelled so it didn't happen. Good place to be but don't think it was realy a big deal to support there. Venues I remember were; Corn Exchange.Colin Atkinson. (Johnny Kidd,Georgie Fame,PJ Proby) . Maids head.Colin Atkinson. (yep,saw Mc Clagan gig with TT4) Strange thing is most people(who never went there ! )thought the Maids was a bit rough but I watched and played there and never saw any trouble.Heacham Village Hall(Rockin Berries.Billy J Kramer )Sunshine Floor,Dereham.Brian Cross(Small Faces).Bedford Club,Norwich.Cromer Rollerdrome.And virtualy every village hall in west Norfolk ! and of course the Kit Kat . Just re-reading what I said about the Gliderdrome sounds realy bad(not a big deal). I don't remember being blown away when we got the gig(that didn't happen ! )mainly because my 'best places' were small venues like the Bedford Club,Maids Head and I think there was one at Boston............Pineapple Club ? . If you liked big halls the Gliderdrome was the place to gig. Someone who I think also did well, moving to the London scene, was Mike Patto from Norwich ?.He dropped in at the Maids from time to time . Guess everyone remembers 'Sharky's on Railway Rd.....Never closed !!! Did the guy (Jack Barrie ?) go on to be big in management ? Rolling Stones or.............. . Does anyone remember if the SMALL FACES gigged at Wymotsham near Downham Market, i have heard this story, is this true? Hi, yes indeed they did. A local farmer decided to stage a festival (might even have been called a "Love In"!!). I believe there were problems with the police and local authorities about charging for admission on a Sunday so he got around this by only admitting people who had a bunch of flowers (daffodils I think)....bunches of which he was selling at inflated prices next to the entrance! The Small Faces playing "Itchycoo Park" on a windswept stage in the middle of a field is permamnently etched on my memory! I heard today that Ian McLagan, formerly keyboard player with Boz People and then Small Faces died of a stroke on 3rd December age 69. RIP.